I had completely forgotten about this Hero Arts stamp set but when I stumbled across it I realized it was perfect for this week's challenge and I'd knock an NBUS off the list! 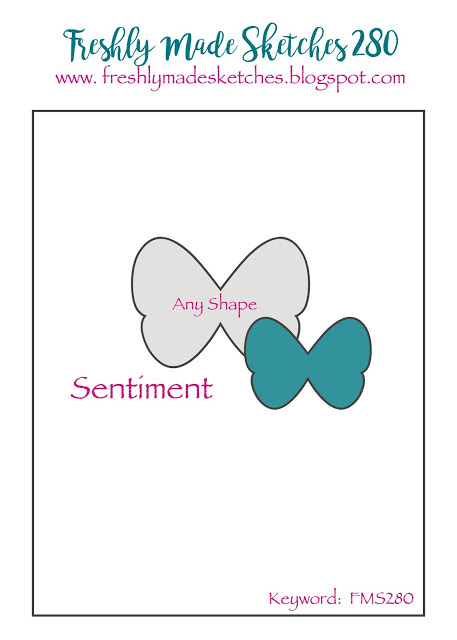 I went for colours that could work for a guy or a girl and a jaunty angle for a bit of fun. Also I discovered that if you put Nuvo drops onto stamp ink they'll take up the colour of the ink. Kind of fun! Hi there! 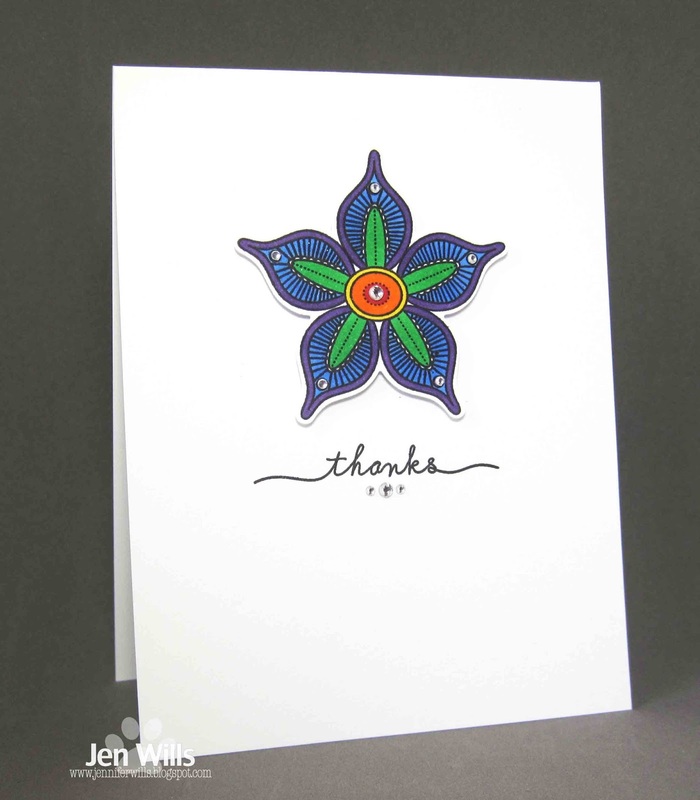 I'm back for my final week of guest designing for CAS Colours & Sketches. I just want to say thank you to the lovely CC&S ladies for welcoming me and letting me play along with them for the last 4 weeks. When I see layers for a CAS card sketch I always get a little worried but keeping the top layer white helps to keep it clean. 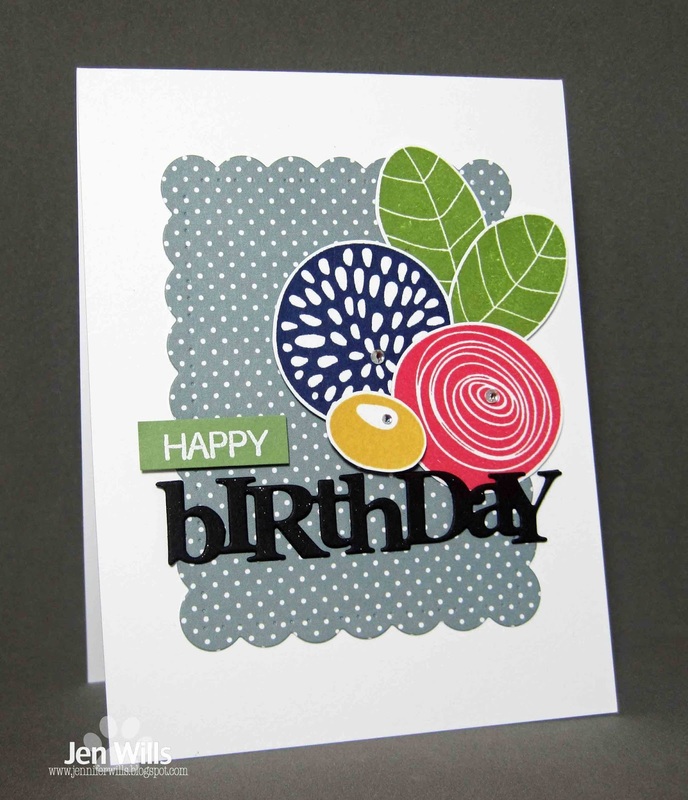 I used a peekaboo amount of patterned paper underneath it and pulled colours from it for the rest of the card. This MFT bear is from one of my most used My Favourite Things sets. I think he's just so cute! 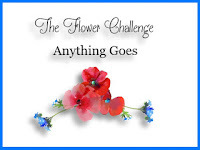 Be sure to check out the inspiration from the Design Team and then play along! You have until 6pm Eastern Time on Monday, 3 April. Hi there! 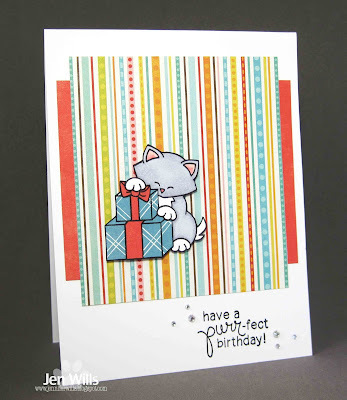 I've got a card today for the Simon Says Wednesday challenge to use more than one die cut or punch. 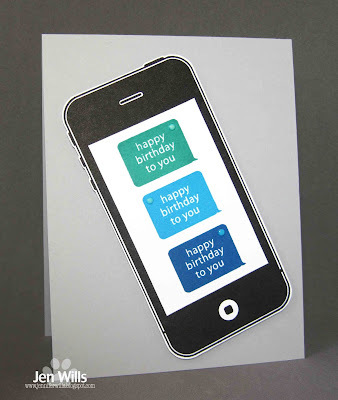 This card is pretty much all die cuts so I think it qualifies nicely. 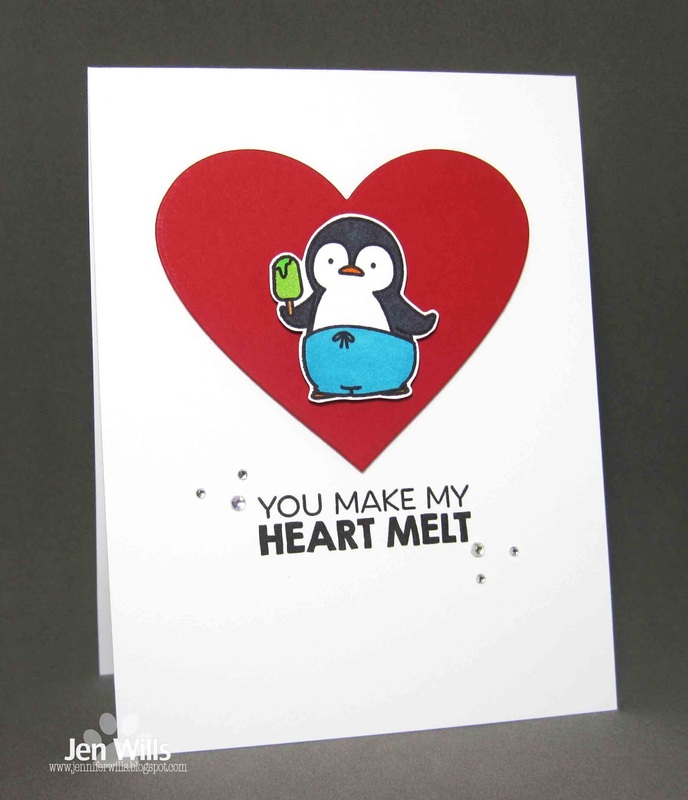 All the elements on the card (except the gems) are from Paper Smooches. I love those paint stroke dies. They're so cool and can be used for so many different types of card. To help the leaves pop I cut them from green and black card and layered them to give a bit of a shadow. That's it for now. 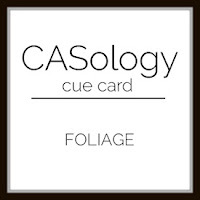 See you tomorrow for CASology! I've got a card today for the Muse challenge and the Paper Players CAS Baby card challenge. 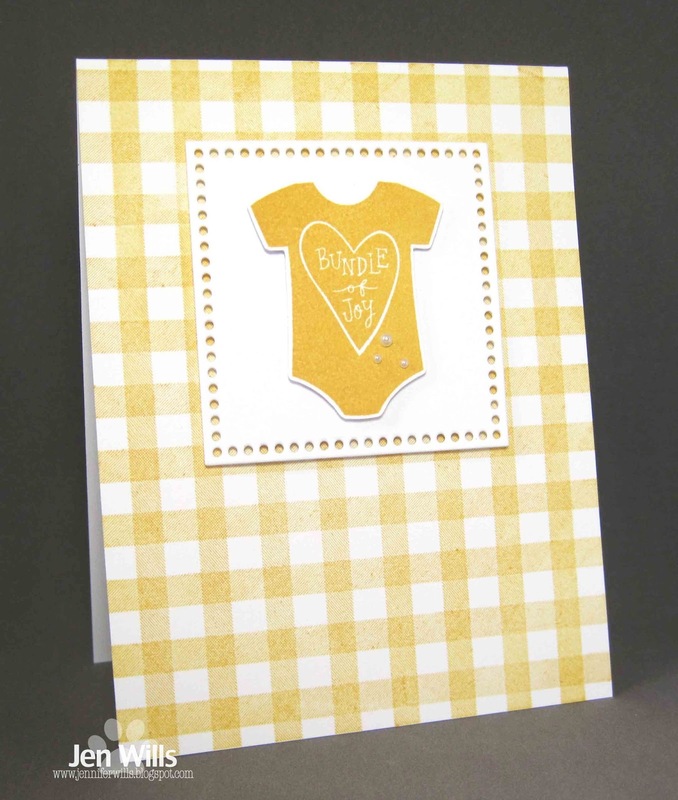 Jenni's sweet little baby card provides plenty of inspiration. I picked up on the baby clothes on a white panel over gingham. I inked up these adorable Reverse Confetti onesies, fussy cut them and popped them up on foam tape onto the Lil' Inker pierced squares. 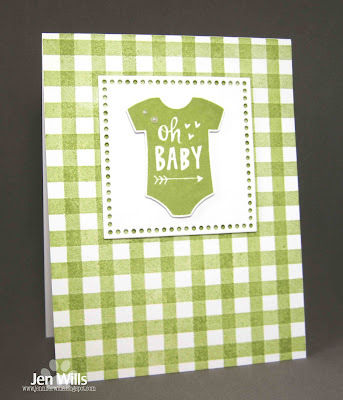 The gingham background is from Market Street Stamps (sadly no longer in existence). I couldn't just make one pink card so I made three more in other colours using the different onesies. 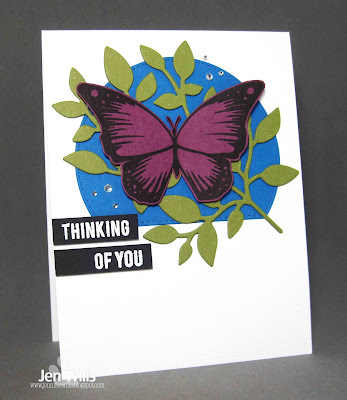 I've got two cards to share today starting with one for CAS(E) This Sketch and the CAS challenge at Addicted to Stamps and More. 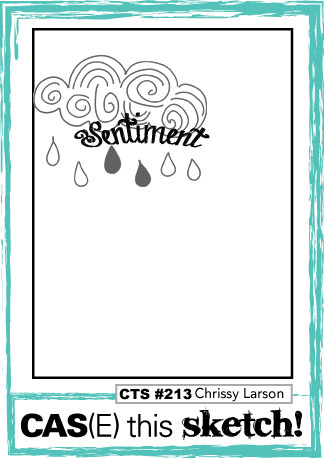 I thought of this Papertrey Ink stamp as soon as I saw the CTS sketch and inked it up for the first time. I coloured it with Copics, added some clear Wink of Stella and that was it. 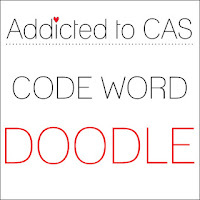 Definitely quick and CAS. 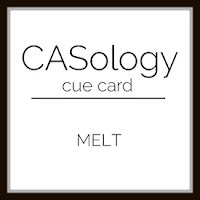 My mind went straight to this MFT penguin stamp set when I saw this week's cue word. How cute is he in his little shorts with his melting popsicle! 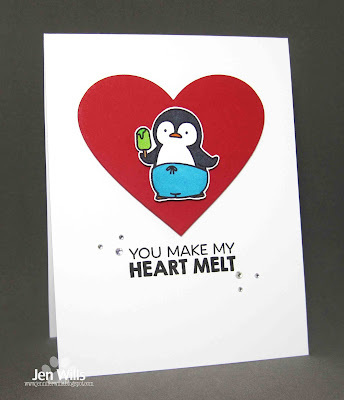 I coloured him with Copics, fussy cut him and popped him up on foam tape on top of the heart. Hi there! 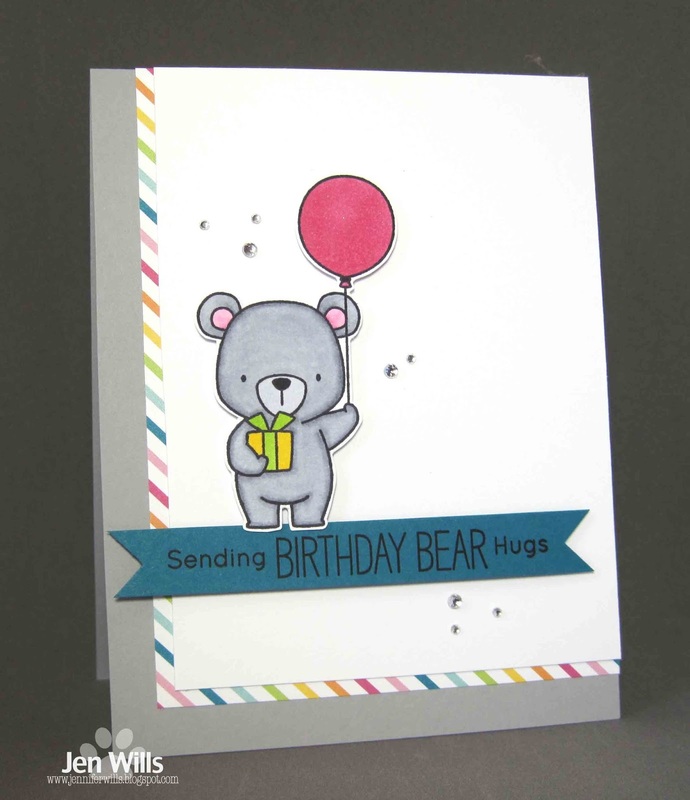 I'm back for my third week of guest designing for CAS Colours & Sketches. 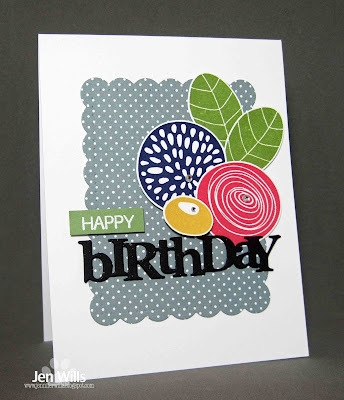 These are classic bright Stampin' Up colours this week - some of the first I ever bought. (You don't have to use SU colours - just match your colours as closely as possible). The Avery Elle butterfly was stamped, fussy cut and popped up on foam tape over the leaves and stitched arch. You can't see it but the leaves are covered with clear Wink of Stella and I've scattered some gems around as well. 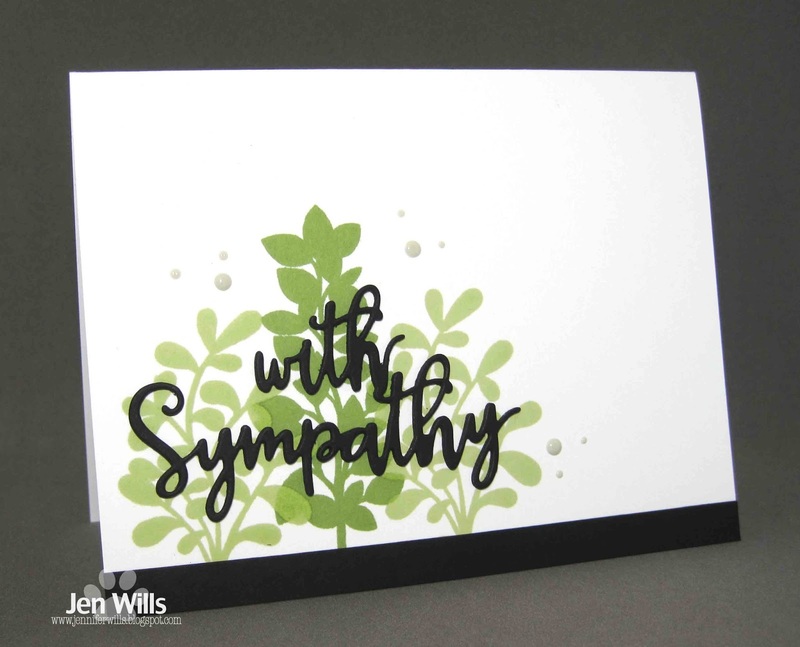 The sentiment is Altenew and I like the clean lines of the font against the busy layers of die cuts. 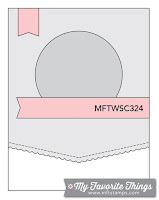 Be sure to check out the inspiration from the Design Team and then play along! You have until 6pm Eastern Time on Monday, 27 March. 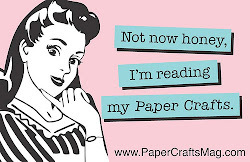 Hello and happy Saturday! 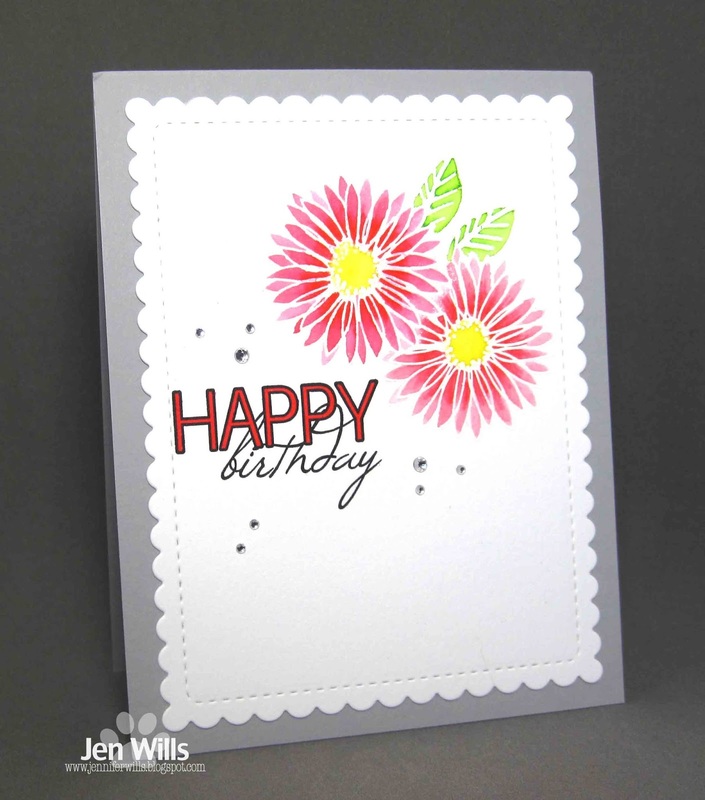 I've got a card for the MFT sketch challenge and the Just Add Ink Just Add "L" challenge. I love these MFT llamas and I think this guy looks especially fabulous in his party hat! All the papers are MFT and I coloured him with Copics. That's it for now - I'm going to get outside and enjoy this beautiful day! Hi there! 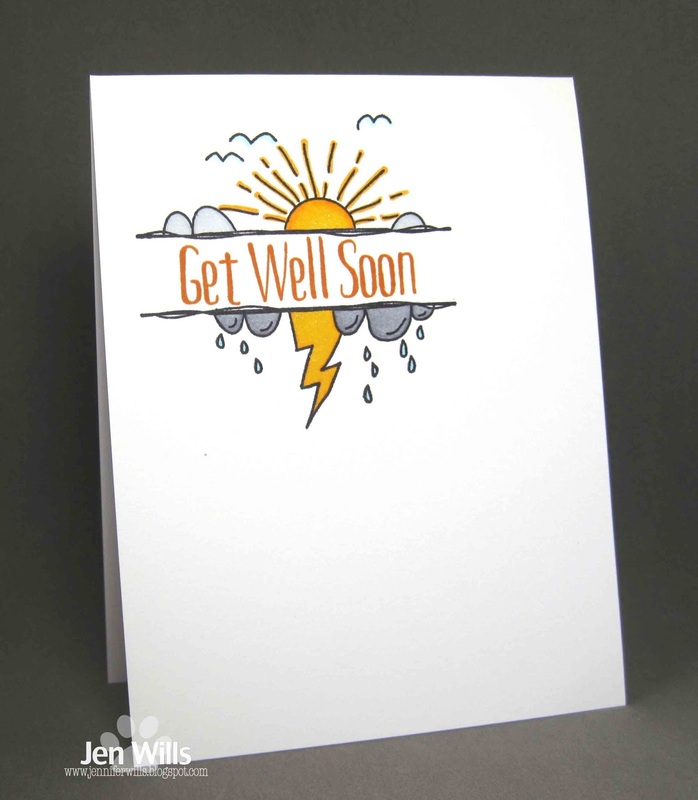 I've got a card for two challenges today. 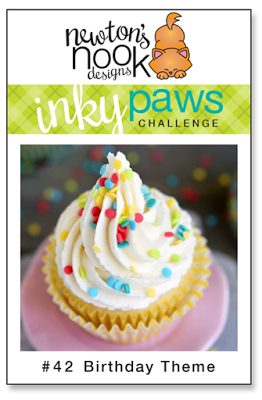 I'm playing along with Newton's Nook's Inky Paws Birthday challenge. 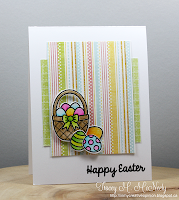 I used Tracey's sweet and colorful card over at Muse for my inspiration. 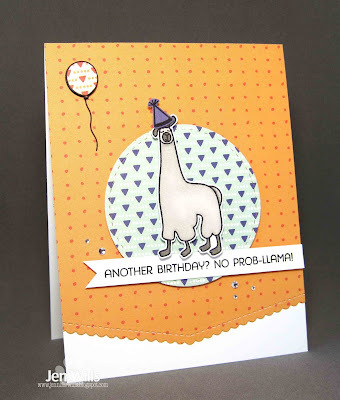 Newton is coloured with Copics and the gift is paper pieced with Echo Park papers from the same set as the background papers. Pretty quick and simple to put together and I love the bright and happy stripes! 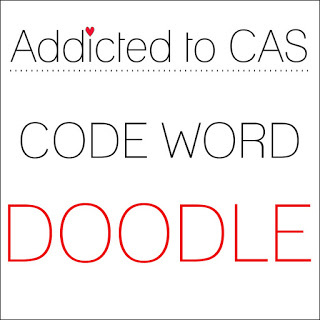 I'm also playing along with the Doodle challenge over at Addicted to CAS. I still have some of the stamped PTI Doodlie-Do images that Anita sent me a while back so I coloured one with bright rainbow colours and popped it up on foam tape. The sentiment is from Mama Elephant. We've had some tricky cue words the last couple of weeks but today's is a simple one. 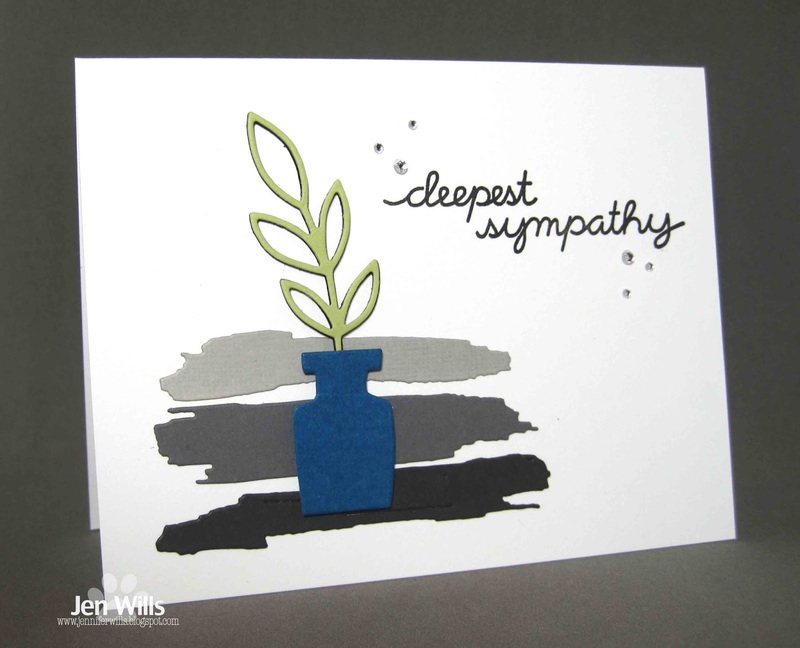 Most stampers have flower images and with flowers come leaves so I'm hoping to see lots of you playing along this week! 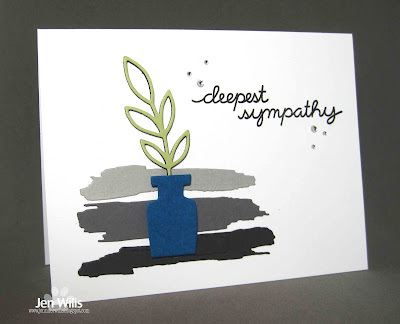 I stamped my Paper Smooches leaves with Altenew inks and layered a Lil' Inker Designs sentiment over the top. A few Nuvo drops scattered around, a black strip to ground the leaves and that was that! Hi there! I'm back for my second week of guest designing for CAS Colours & Sketches. I broke out some NBUS items for my card which seemed to perfectly capture the sketch. 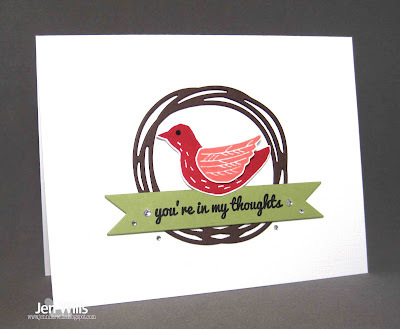 The wreath and bird are from Lil' Inker Designs with a banner from Paper Smooches and a sentiment from Fresh Squeezed stamps (sadly closed). It came together quickly once I finally decided on the colours for my bird - I could have dithered forever on that! Be sure to check out the inspiration from the Design Team and then play along! You have until 6pm Eastern Time on Monday, 20 March.